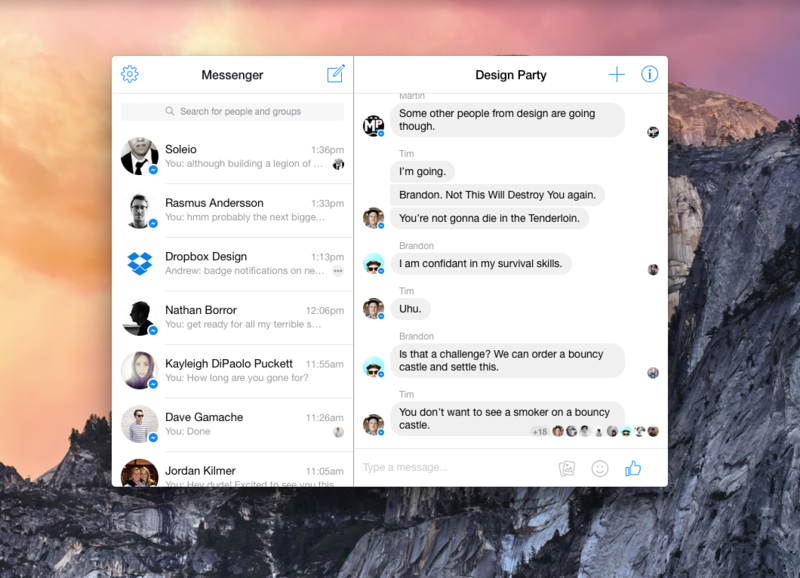 Messenger for Mac, as it's called, is basically a wrapper for the Messenger site, tweaked to run on OS X. That means that you can keep Messenger in a smaller window, which makes it look better on large monitors, minimize it, access it easily whenever you want, and more. Just like the site, Messenger for Mac lets you enable desktop notifications, which work even when your favorite browser is closed. 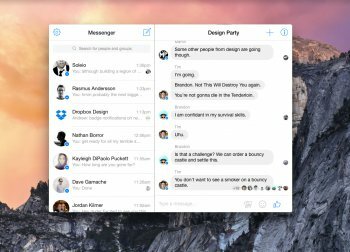 There is even full-screen support, so you can keep Messenger for Mac open in a nearby Space.